★★★★★ "The play is full of moments where individuals from all walks of life can connect; the overarching theme being one of self-identification and self-acceptance. There is power and fortitude in the script, grace and tremendous tenacity in the cast, and an overall sense of feeling good by the time the show has resolved itself. Definitely a must-see at Venus Theatre this spring, The Speed Twins is not one to miss." ★★★★ "First love. Real love. True love. And self—gay or not—these are the truths of The Speed Twins that make it a special show, one that explores what it meant to be female in a time when being female was, in itself, a bit of a sin. Queenie reminds us of that, and Shirley asks us to find that part of us that makes us fall in love because that’s where our truth lies. Once you lose that, just like Queenie, you lose. The Speed Twins is, as are most Venus shows, a refreshing take on the female perspective that asks us to remember a moment in time and a time in life." The Speed Twins runs at Venus Playshack in Laurel until May 27th, 2018. We're delighted that The Speed Twins is to receive its US premiere next month with a production by Venus Theatre Company in Laurel, MD. Artistic Director Deborah Randall produces four "women empowering scripts" every year and The Speed Twins will be play number 64(!) 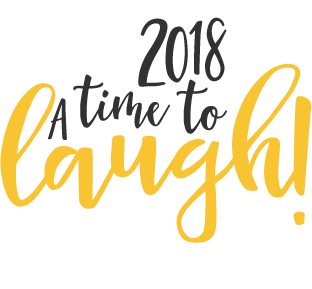 as part of their "A Time to Laugh" season. We wish them every success for a great production. The show runs from 3rd to 27th May 2018.